Theatre in America has had a rich history—from the first performance on the Lewis Hallam Troupe in September of 1752 to the lively shows of modern Broadway. Over the last few centuries significant works have been produced, including Abie’s Irish Rose, Long Day’s Journey into Night, A Streetcar... read more Named Desire, Death of a Salesman, A Raisin in the Sun, Fences, and Angels in AmericaIn 100 Greatest American Plays, Thomas S. Hischak provides an engaging list of the best stage productions to come out of the United States. After outlining the selection criteria, the volume features an alphabetical listing of plays. Entries feature the plot, the production history, a summary of the critical reaction, commentary of the literary aspects of the drama, its influence and long-range effects, cast lists of notable stage and film versions, and a biography of the playwright.Appendices round out this informative volume by providing complete lists of the playwrights as well as the winners of the Pulitzer Prize for Drama, the New York Drama Critics Circle Award for American Plays, and the Tony Award for Best Play. The plays have been selected not by popularity but for their importance. The goal is to present the play in the context of its original presentation, then to look at the ways the play has lived on. 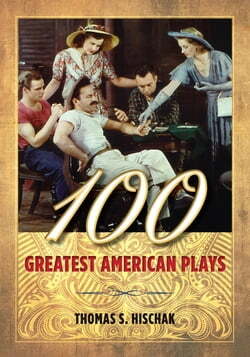 100 Greatest American Plays will be of interest to scholars and fans of American theatre.